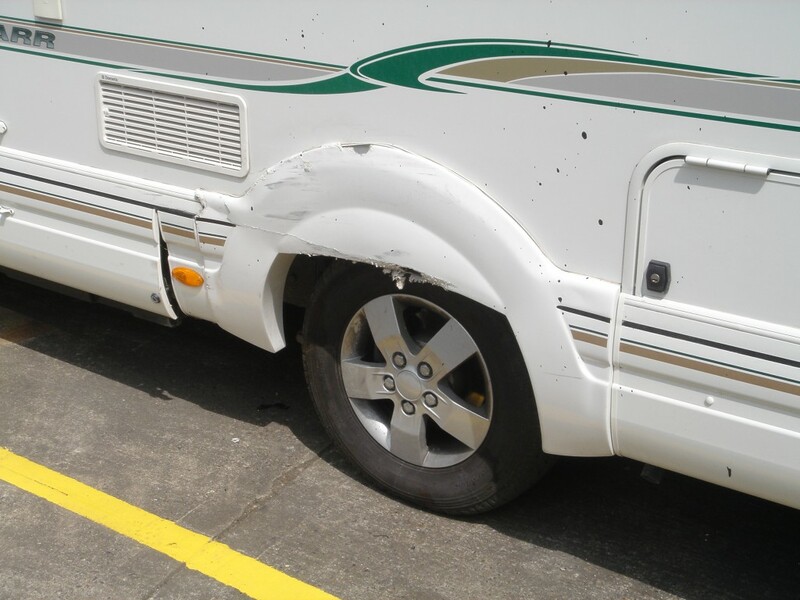 A guide to parking your motorhome safely: Who put the bump…! Back end swinging out. Tail overhang. Height limitations. There’s a lot to think about when you’re piloting your motorhome – and that’s before any concerns about where and how easy it is to park when you reach your chosen destination. Few folk will want to go as far as the Brigadier Smarteye 360 (see www.conrad-anderson.co.uk), arguably the most comprehensive all-round vision system you can get for a motorhome with its sophisticated birds-eye view image. But, there are a few other items of kit that can be added to your vehicle that might make a difference when it comes to avoiding potential hazards – starting with just taking things a bit easier and applying a good dose of commonsense. Indeed, it’s often at lower speeds, maybe where driver concentration is more likely to lapse and you’re not quite fully on your guard, where you might just have a completely accidental knock. One area where we at Caravan Guard get a significant number of claims is entering or exiting storage compounds, perhaps when you’re not sure of your surroundings and are more concerned with setting off or returning from another great adventure that your mind wanders. We also receive a number of claims from scrapes and bumps at service stations and petrol stations, where there can be a lot of distractions or hidden vehicles in the blind spots! Plus car parks seem to have lots of hidden hazards, such as low walls, low lying tree branches, small posts and boulders, as well as the common motorist, all of which have led to many claims for accidental damage in the last 12 months. It can be a tight squeeze in some touristhotspots during the busy season too, so it’s always worth taking that extra bit of care when making these slow but careful manoeuvres to avoid those unwanted knocks. And if you do pick up a small dent, scratch or more? 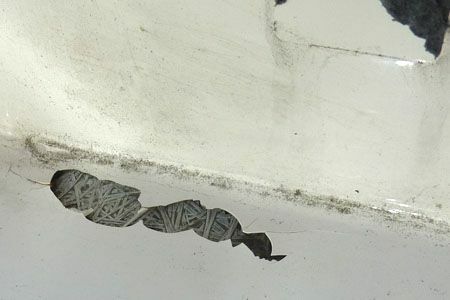 Just remember, it’s rarely as bad as it might look at first and, in these days of smart repairs and other clever fixes – it’s worth knowing more about the bodywork construction of your motorhome, e.g. is the exterior aluminium or GRP? ; the latter is tougher and far less likely to pick up unwanted little dents – the only lasting damage could be to your own pride. And there’s more…Check out www.motorhomeparking.co.uk for extensive information that’s been collated from local authorities since 2006. Adding your overall vehicle dimensions into your satellite navigation system can be a major help – it will go a long way towards making sure there’s no untoward encounters with things like height barriers, low bridges, narrow roads and so on. As ever though, you should never rely totally on a satellite navigation system. Check your route details with your campsite, most of whom will give details of the best approaches via their websites. But, if you have any concerns it’s always worth checking over the phone. Similarly, once you’re based at a campsite, you’ll often find staff information on local attractions, including parking availability, is invaluable. Be aware of your blind spots. All vehicles have them. Look up and down as well as along the sides and around the back. 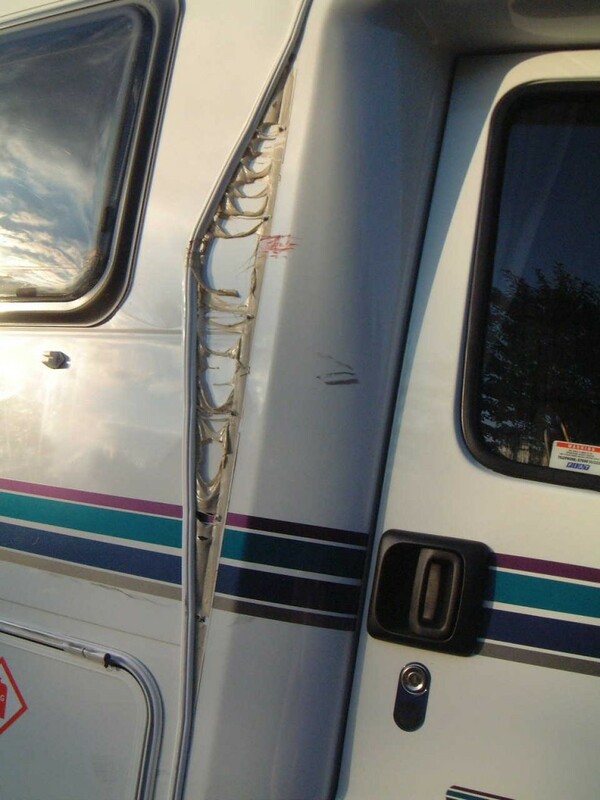 Generally, motorhome exterior mirrors give excellent views along each side of the vehicle, but judging distances via these is always a bit tricky. When it comes to parking, you might want to get out first to check for any previously unseen obstacles and/or just to gauge your distances. One of your passengers may want to help with reversing manoeuvres – in such cases agree some hand signals beforehand as well as rolling down your window to listen for shouts! If you’re considering adding accessories like bike racks, ladders to roof racks, towbar and electrics, do consider any possible consequences in terms of vision and indeed changes to your vehicle’s overall dimensions. Consider taking a motorhome manoeuvring course. Even the most experienced drivers report the excellent advice they get from the qualified instructors running such courses. Add some scrape saving accessories! Investing in some extra accessories can help make those small manoevres that little bit easier or offering some extra protection. 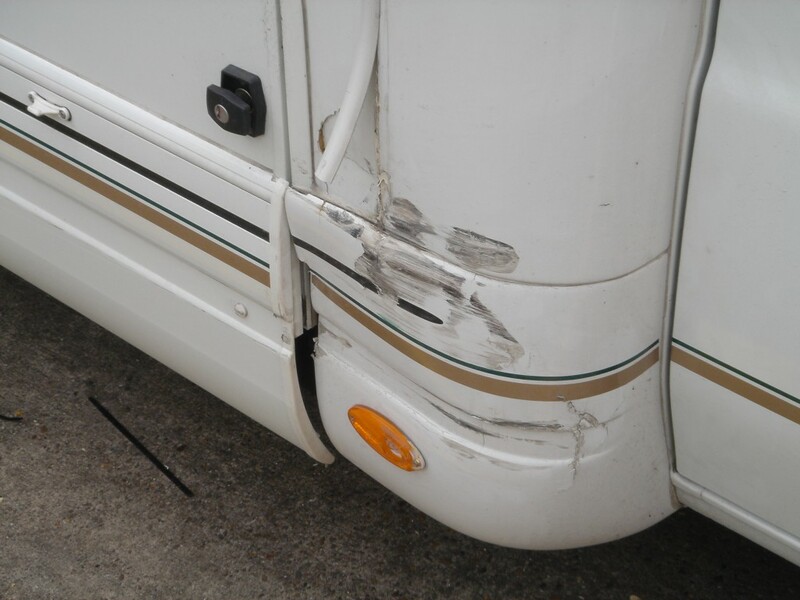 Fitting a parking sensor or rear view camera to your motorhome can reduce the likelihood of making an accidental damage claim and mirror protectors will help to reduce those scrapes and cracks. We’re always keen to hear from you. If you want to share your parking experiences or tips with other Caravan Guard fans please add your comments below. When parking up my wife drives and I give directions talking to her over mobile phone. Simple even for wife. I managed to cause nearly £2000 of damage to the offside rear panel of my motorhome reversing into my own drive. One aspect of driving on ordinary single carriageways which gives me concern is the risk to my offside mirror. I had a mirror to mirror impact on a Welsh road with a van coming the other way, which demolished both mine and his. 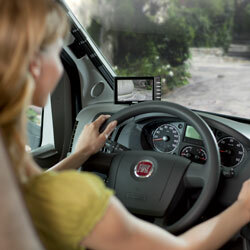 Motorhome mirrors stick out a long way, for obvious reasons, and so do those of lorries. I always get a little nervous when I see a truck or tanker coming the other way and tend to edge to the side of the road where possible. They seem to charge past oblivious. several really relevant and useful articles, well done. Thanks for the feedback Ray. Glad you found the articles useful.